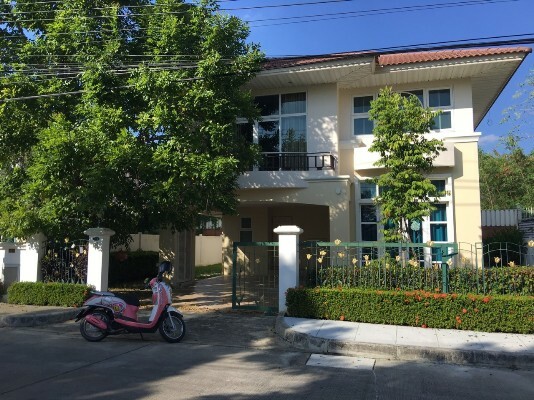 HR1790- House for rent in Chiangmai Thailand. A beautiful house in the good compound with 24 hours security. Finest , swimming pool including. It has 4 bedroom, 4 bathroom, nice garden. 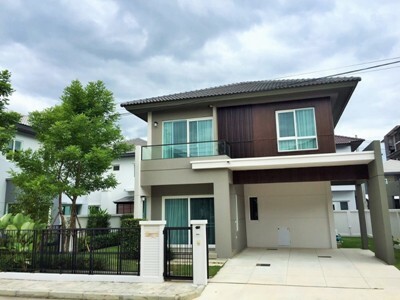 HR1826- House for rent in Chiangmai Thailand. Cozy house in a very nice project near airport only 5 minute. drive to air-port and Central airport plaza. 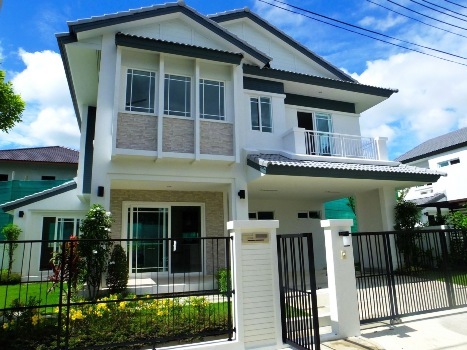 HR1912- House for rent in Chiangmai Thailand. Beautiful modern stlye house for Rent. Single house, one story, Private house not live in any deverlopment moobann. Big fence all around with atomatic remote control gate, safety and convenient area near by fresh market, 7-11, Lotus express. 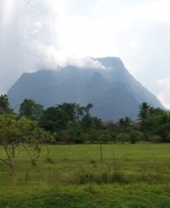 Large size of land 1.5 Rai or 600 Sqw or 1,600 sqm. 4 bedrooms, 4 bathrooms ,3 airconditioner,large living room. one smaller house saparate for the office or guest house with toilet. lovey garden with lot of big tree and shady. Appoximately 15 minutes from heart of town. Drive by supper highway ring road 3. 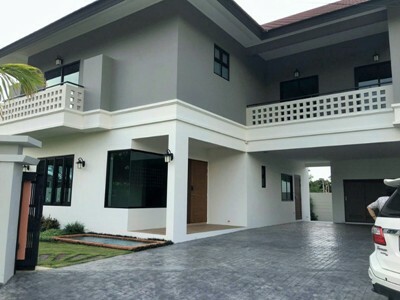 HR1916- House for rent in Chiangmai Thailand. Facilities: Swimming pool, finest ,Club House, good security 24 hours, 10 minutes to walk to shopping mall, 15 minutes drive to the town. 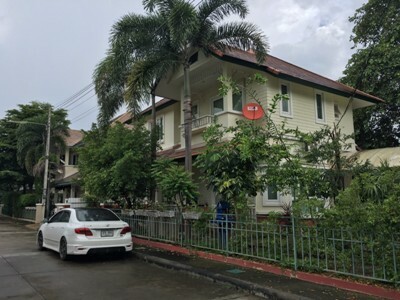 HR1879- House for rent in Chiangmai Thailand. quality home offer the finest in luxurious comfort. Suitable for those rich in taste and who love value, pleasure and a quality lifestyle. Fully furnished 3 bedrooms 3 bathrooms 1 Maid room,1 Living rooms 1 Kitchen 1 Maid room Air condition Hot-Water TV Refrigerator or fridge freezer. A stylish response to the demands of modern living. The overall design puts the focus on privacy and other native plants providing a pleasant, green retreat from the world outside. Make full use of the luxury sports complex, featuring a spacious swimming pool, Basketball field and tennis courts. 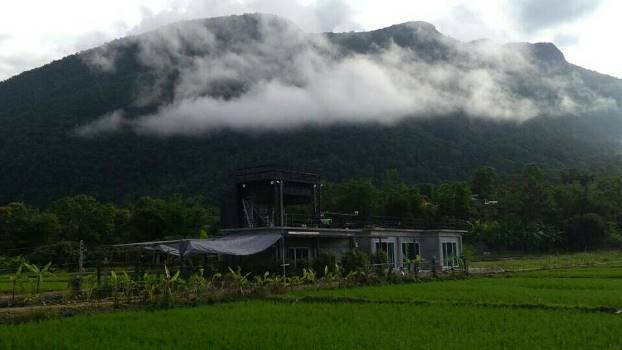 You will not only be surrounded by beauty scenery hill but also be safe and confident in our security. The project is secured guard service and CCTV camera system for yours safety. HR2038- House for rent in Chiangmai Thailand. 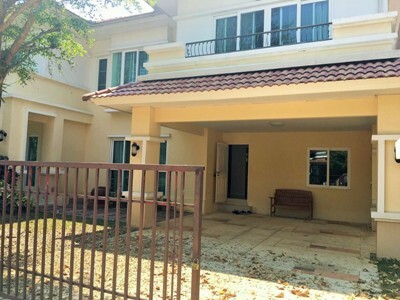 House to rent near by Meechok Plaza and Theppanya Hospital. Offer fully furnished. General Features Lot Size: 100 Sq.wa Using Area: 250 Sq.m. Price for Rent: 35,000 Bath/month 3 Beds, 3 Baths, 1 Dining room, 1 Living room, 1 Kitchen, Air- condition, Hot-Water, TV Refrigerator or fridge freezer. Secure Parking. 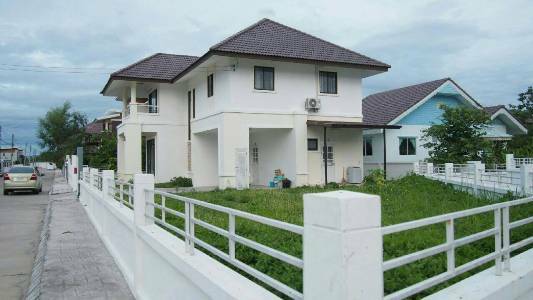 HR2039- House for rent in Chiangmai Thailand. 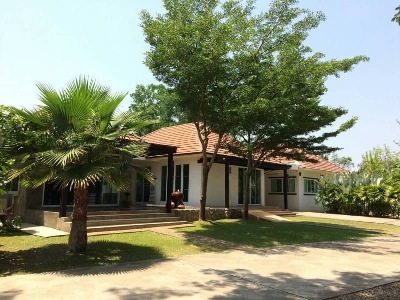 A Very Big House for rent in Sankampang area, Chiangmai, Thailand. 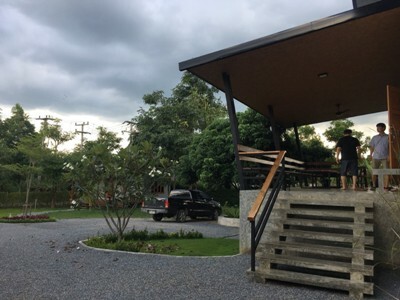 It is an approximately 20-minute drive from the Chiang Mai International Airport, 10 minutes to the Promenada Mall and local restaurants and only 20 minutes from the Chiang Mai city centre. It has a garden that is easy to maintain and also 4 covered car parking space. This project offers 24 hours security and a children s play area. This house provides tremendous value for money and offers great potential, it is well maintained and ready to move in. General Features Lot Size : 220 Sq.wa. 3 Beds, 3 Baths, 1 Living room, 1 Kitchen, 1 Office, 6 Air- condition, 2 Hot-Water, TV, Refrigerator or fridge freezer. 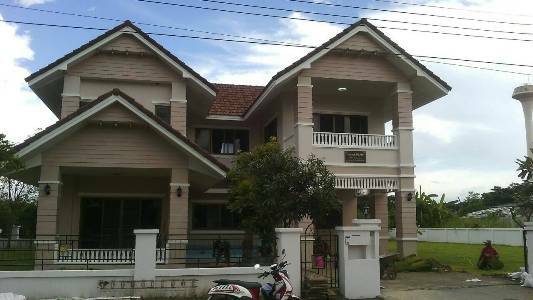 HR2054- House for rent in Chiangmai Thailand. Modern home in a great location in a great gated community This lovely home offers a spacious open plan living and dining area, 1 kitchen, air conditioners with fully furnished with build-in furniture. Facilities in this project including swimming pool, gym, 24 hours security guard and CCTV camera. Great location off the 1st Ring Road, only a few minutes drive to Meechok Plaza, Ruamchoke Market & Tesco Lotus. Central Festival is only about 7 minutes away. 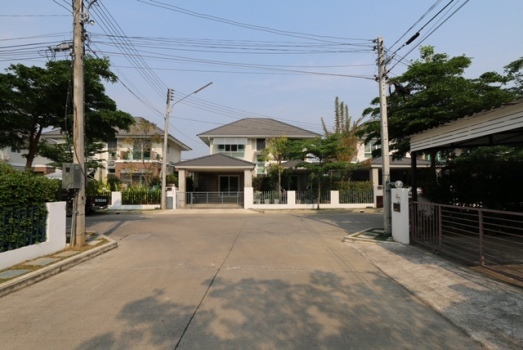 Close to Nakorn Payap International School and Chiang Mai International School. General Features Lot Size : 80 Sq.wa. Using area : 180 Sq.m. 3 Beds, 3 Baths, 1 Living room & Dining area, 1 Kitchen, Air- condition, Hot-Water, TV Refrigerator or fridge freezer. Secure Parking , Fully furnished. 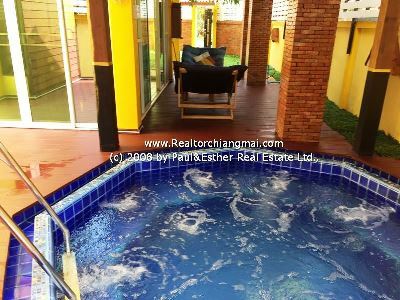 HR3033- House for rent with small Pool in Chiangmai city,Thailand. 200 sq.m. of private house located within the hotel area. There are spa facilities, massage parlors, fitness room, restaurant and more than 20 rooms for guest, more than 15 parking spaces in total area of approximately 2 rai. Homeowners are in the immediate area, can speak English, French, Swiss. 1 Refrigerator or fridge freezer. 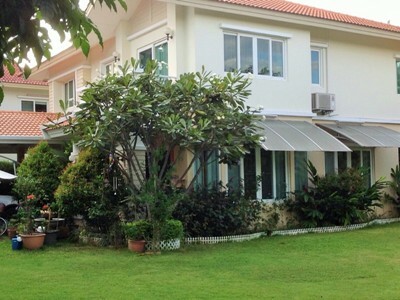 House in Large area for Rent in Su Thep nice garden. 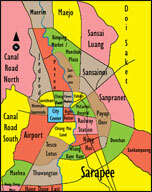 It takes approximately 15 minutes driving to Chiangmai International Airport and 10 minutes go to Nimman haemin Road. General Features Lot Size: 220 Sq.wa 35,000 b, with 5 Beds, 5 Baths, 1 Living room & Dining Area, 1 Kitchen, Air condition, Hot-Water, TV Refrigerator or fridge freezer. Secure Parking , Fully furnished.